Released last month, the cute and simple music video for “Have You Ever Fallen In Love” is now released. If you’re not a Standing Egg fan, I hope you will become one! Their songs are absolutely soothing and so refreshing. Ah! And their first album is one of the albums in the giveaway so if you like what you hear, go sign up if you haven’t. This sweet song “Have You Ever Been In Love/Have You Ever Fallen In Love” is the collaboration between Ra.D and Standing Egg for their newest single~ As before, Standing Egg doesn’t fail to impress and they once again capture your heart~~ ^-^ Hope you guys enjoy the new song. Read the rest on Earcandy Express! 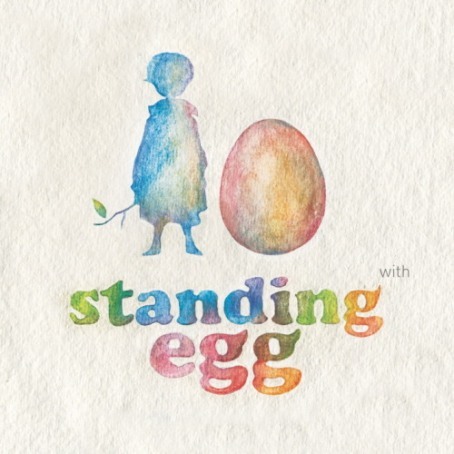 Standing Egg released their first single last April. They are set to release their first album on the 25th. Via Standing Egg’s YT channel, the audio track for one of two of their title tracks from their first album “With” was uploaded (and I’m totally in love!!). The track is “넌 이별 난 아직” featuring the vocals of 3rd Coast’s Han So Hyun. The tracklist for the first full album is below. 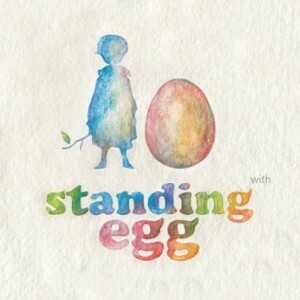 When you listen to Standing Egg’s music, you’ll be overwhelmed with happiness.